Have you ever thought about what would happen to your pets if you were incapacitated somehow? What about a flood or fire? 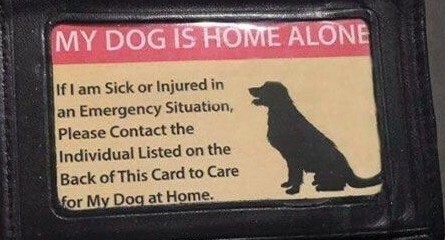 A wonderful idea is to carry some type of pet identification card on you. One with a picture of your pets would be ideal. Most people have some type of plan for themselves and their children when it comes to emergencies, but what about your pets.